Probably the most easily watchable Jarman movie so far. Though it definitely has something of the dream like texture of Angelic Conversation , it gives you more a ‘film with a plot’ experience. A lot of bodily sculpture-like beauty. 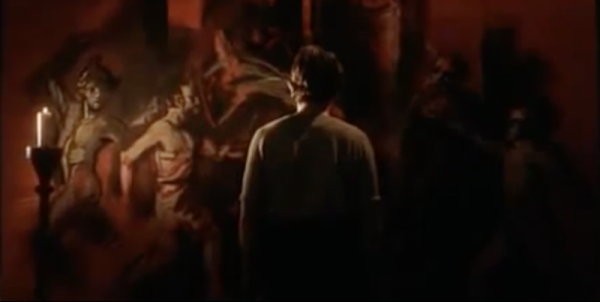 The movie colours felt similar to the Caravaggio paintings. Though the latter might have been caused by the low quality video projected on our not so perfectly white wall.